I am a Bengali. My grandparents suffered partition of Bengal. We Bengalis and Punjabi brothers are lucky that we got a part of our state to preserve our language and culture. If you don't mind I would like to tell you that you are very unfortunate to loose whole of Sindh to Pakistan. However if you folk want to remain a vibrant race as you have been from ancient times, you must organise and settle in Kutch and south Rajasthan districts and with the help of India govt. 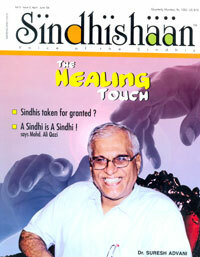 carve out a state of Sindh within India for yourselves. It should be perfectly a legitimate demand.